Charles P. Carey is Vice Chairman of CME Group. Previously, he was Chairman of the Chicago Board of Trade (CBOT) which merged with CME in July 2007, creating a new company, CME Group Inc., a CME/Chicago Board of Trade Company. Carey received a B.A. in business administration from Western Illinois University. He served on the CBOT board of directors in various roles, including Vice Chairman, First Vice Chairman and Full Member Director. 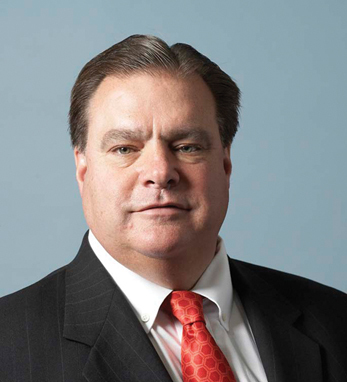 An independent futures trader, Carey became a member of CBOT in 1978 and is a partner in the firm Henning and Carey. Carey has received a number of civic, industry and community service awards. Most recently, he was presented with the Western Illinois University Distinguished Alumni Award. Carey is also President of the Chicagoland Sports Hall of Fame, an organization that is very active in providing scholarships for underprivileged youths. Carey’s great-grandfather Simon Carey immigrated to Chicago from County Clare and married Roscommon-native Mary O’Brien. On his mother’s side, Carey traces his roots back to Monaghan. He is married with three sons.